Now that we’re in the thick of the holidays, I present you with my third Holiday Gift Guide – and very last one for 2017. What follows is a list of gift ideas that work best for those you know well. I’ve sprinkled a few fragrance suggestions that can also serve as hostess gifts… but for the most part, these aren’t for your favorite FedEx carrier. Most people appreciate getting perfumes and cologne for the holidays, but they aren’t always easy to give. Fragrance is such a personal thing that you almost need to know exactly which one s/he wants. The Maison Blanc Crisp Champagne diffuser makes a gorgeous hostess gift! The jar fits perfectly into any home aesthetic and its notes of sparkling brut champagne with hints of vanilla and barrel oak make every day feel celebratory. This Voluspa scent also comes in a candle if that’s your preference. Pick it up at Nordstrom. NOTE: If you don’t have the time or finances to grab anything for anyone this season, just remember that a handwritten card, big smile & warm hug always go a long way. Let’s be honest. When it comes to certain holidays, it’s impossible to go overboard. Such is Mother’s Day, coming up on Sunday, May 10th. You can never overbuy for mom. So hit the web, mall and boutiques, and grab all the things she probably wouldn’t buy for herself. Need some ideas? I’ll be posting random suggestions (mostly Beauty & Spa) over the next two weeks that Mom might enjoy—especially if she’s on the west coast. Don’t expect any restaurants though…I’ll leave those to the pros at Los Angeles Magazine and Our Man on the Ground. Home fragrances can get a bad wrap because they don’t seem overly thoughtful. So wrong! Bring ’em on! There are so many gorgeous options out there so pick her up a candle or diffuser to complement the spring season. Clarisonic is a must-have for any skincare fanatic, and Sephora’s Mia Sonic Skin Cleansing System is a can’t-miss gift! The kit includes the awesome travel-friendly Clarisonic Mia and four award-winning skin care formulation samples. Head over to the Westfield Sherman Oaks Macy’s or Sephora to pick one up. 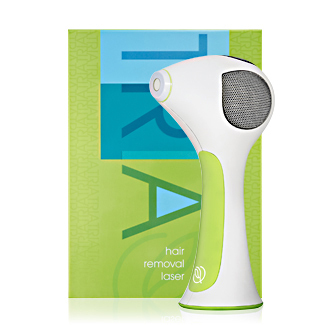 The TRIA Hair Removal Laser is a godsend for the smooth ‘n’ bare-obsessed. It’s truly the ultimate gift this season for these skincare enthusiasts! This laser technology provides the same lasting results as the doctor’s office, but done from the comfort of home. Check it out at triabeauty.com. DISCLAIMER: it’s probably best to make sure you know someone is interested in hair-removal before gifting this type of item. Just a suggestion. One of my all-time favorite gifts… A rockstar chic way to show appreciation for all things Naughty and Nice. Naughty & Nice Candle Set by DL & Co. Maxfield, Los Angeles. Everyone brings a bottle of red. 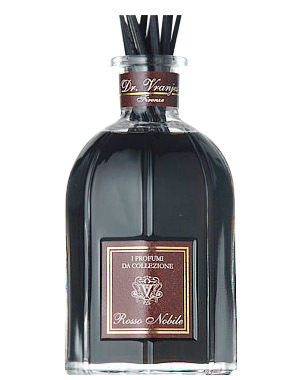 You arrive bearing Rosso Nobile by Dr. Vranjes on New Year’s Eve. A gorgeous room diffuser filled with fabulous fragrant essences of fine wines. Scent Bar, Los Angeles. Order Sweet E’s minis for the Globes’ viewing party. For every fête prior, hand-deliver some crystal frosted treats on milk white glass. 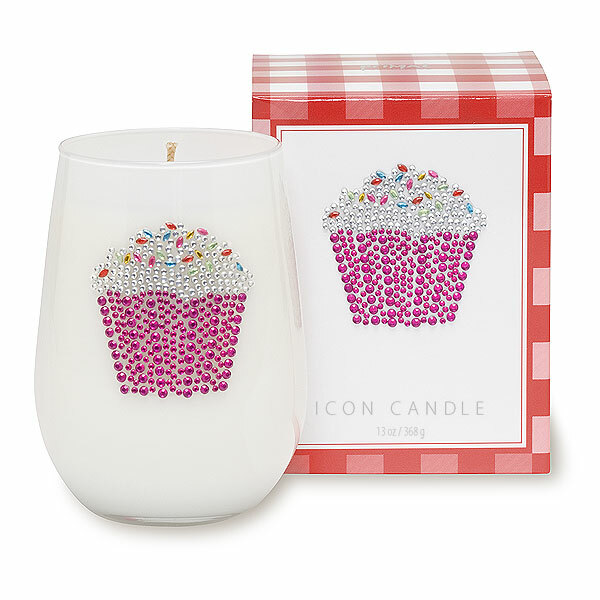 Cupcake Icon Candle by Primal Elements. Lemon Tree Bungalow, West Hollywood. Need a few more beauty baubles for stocking stuffing?